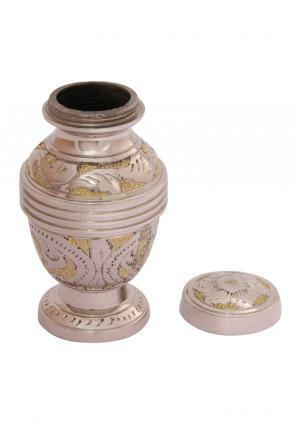 The lavish silver flower engraved golden keepsake urn is decorated in silver rose with spread out leaves and decorated in old form of gold detailing. 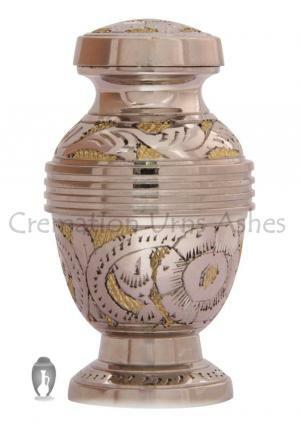 The mini keepsake urn is made from pure brass metal with decorated gold and silver floating leaves. 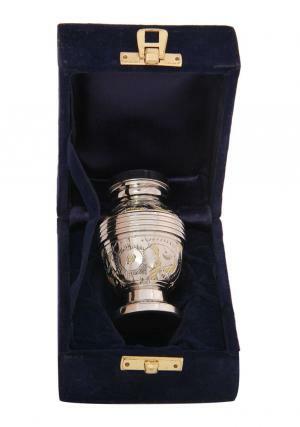 The urn is circled with bands around in gold and lined up in silver. 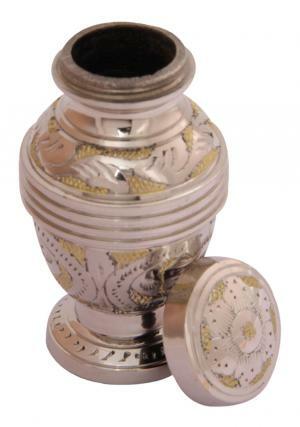 The top of the lid is covered in silver flower and finished in gold. The lid has a secure threading on the top for an easy closure and open. 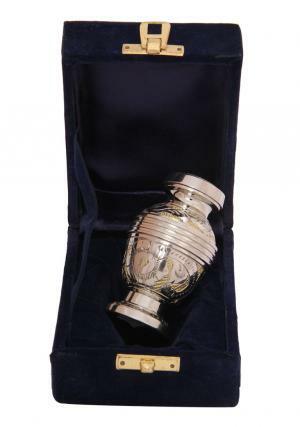 The funeral keepsake urn will be a great piece to preserve ashes of the demised and has a perfect gesture. 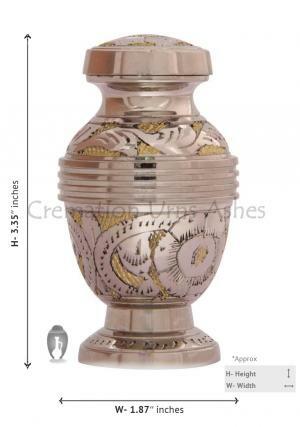 Memorial urn holds upto 3 cubic inches of ashes and dimension of this urn is 3.35” inches height, 1.87” inches width and weighs 0.22 kg.